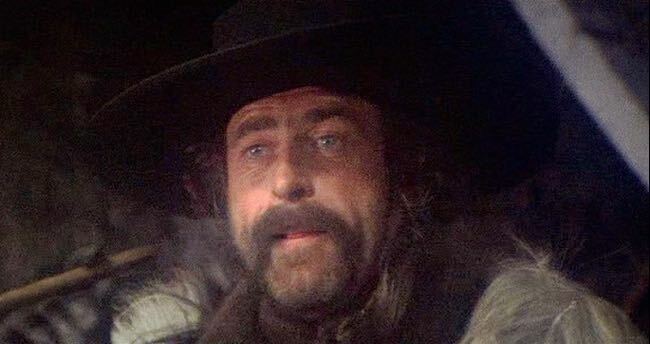 LONDON – Hugh Millais, who utters the fateful line that changes everything for John McCabe in my all-time favorite movie, Robert Altman’s “McCabe & Mrs. Miller” (1971), has died aged 79. As the menacing Butler, who comes to the town of Presbyterian Church “to hunt bear” with two gunslinger sidekicks, he toys with McCabe (Warren Beatty), who has turned down an offer for his business. “Hugh Millais led a varied life as a film actor, yachtsman, calypso singer, oil-man, design consultant and cook. He spent much of his life travelling, and landed himself in more than one mini-revolution. This entry was posted in Film, Notes and tagged 'McCabe & Mrs. Miller', Hugh Millais, Robert Altman, The Times, Warren Beatty. Bookmark the permalink.